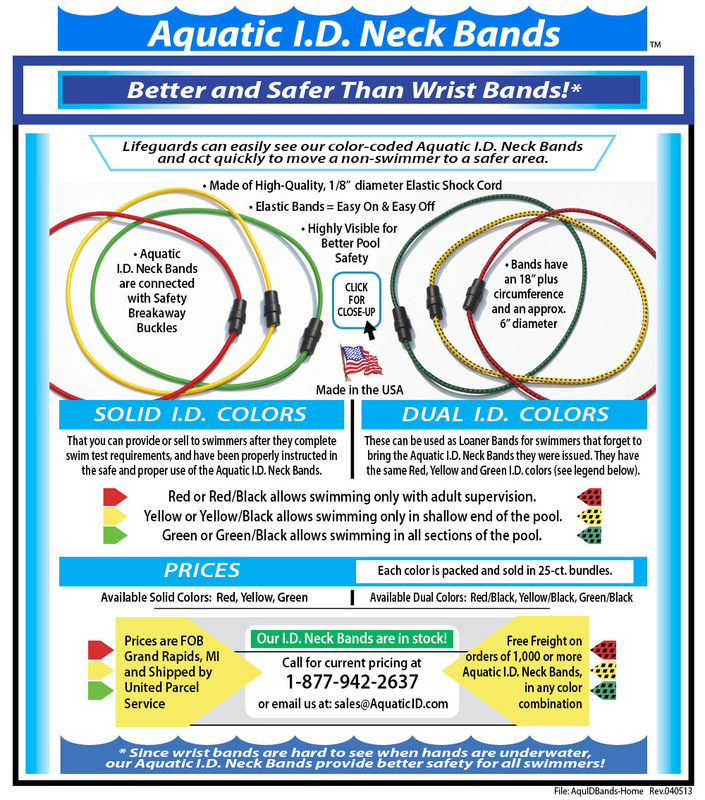 Aquatic ID Neck Bands are better and safer than wrist bands. Lifeguards can easily see our color-coded Aquatic I.D Neck Bands and act quickly to move a non-swimmer to a safer area. The Aquatic I.D. Neck Band is designed to be easily put on. Every swimmer should be tested to determine their competency level and given an appropriate color Aquatic ID Band before entering the pool. An Instruction Sheet should be given and explained to every swimmer before using our Aquatic I.D. Neck Bands.